John Bradshaw On The New Science Of Understanding Dog Behavior Animal behaviorist John Bradshaw has spent much of his career debunking bad advice given to dog owners. His new book Dog Sense details what pet owners should expect from their dogs — and what their dogs should expect in return from their owners. Dr. John Bradshaw is an anthrozoologist and a noted scholar of animal-human interactions. What's the best advice to give man about respecting man's best friend? Animal behaviorist John Bradshaw says it's realizing that dogs are neither wolves nor furry humans and that dog owners have certain responsibilities to make sure their dogs are psychologically healthy. 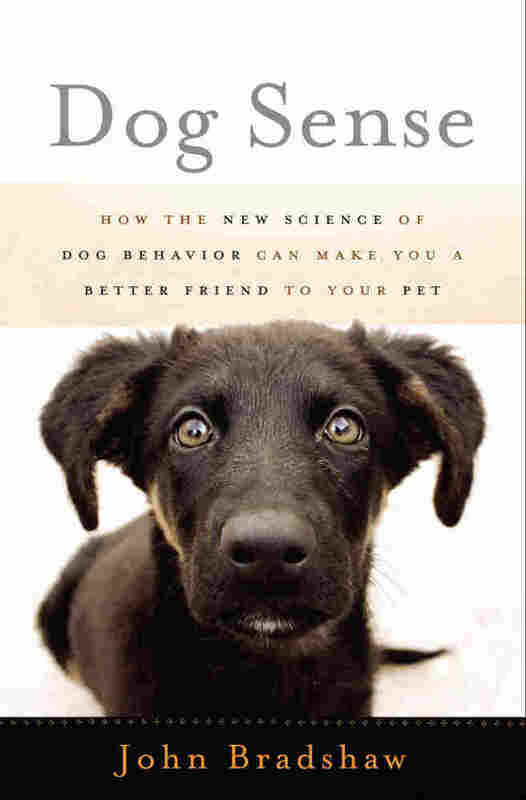 Bradshaw, who has spent much of his career debunking bad advice given to dog owners, is the author of a new behavior guidebook called Dog Sense: How the New Science of Dog Behavior Can Make You a Better Friend to Your Pet. The book details what pet owners should expect from their dogs and what their dogs should expect in return from their owners. One of the most common problems owners face, says Bradshaw, is knowing what to do when a dog misbehaves. For example, many owners might be inclined to immediately physically reprimand a dog for jumping up on visitors. But Bradshaw says that's the wrong way to teach your pet how to behave because dogs see any form of attention — even negative attention — as a reward. Instead, he says, owners should immediately ignore their pet completely. "Most dogs require their owners' attention [and] they want their owners' attention," he says. "They want people's attention in general. And withdrawing that is a very powerful signal to the dog." Bradshaw recommends folding your arms, looking away and pretending your dog isn't in the same room. Your change in body language will be apparent to your pet. "Then you'll find that quite quickly the dog begins to realize that [their bad behavior] is not working," he says. "You can then use a distraction technique to get the dog to do something else, like sit or lie down and then it will get the idea that this is what it's supposed to do when visitors come to visit." Bradshaw says dogs naturally want to please and play with people, especially the people who love them. "[When a puppy's eyes open it has] a very strong ability to learn about people and ... this behavior persists throughout life," he says. "And surprisingly, most dogs, given the choice, will actually prefer human company to other dog company." Studies indicate that dogs will naturally gravitate toward humans, though Bradshaw says how that idea gets into a dog's developing brain is still somewhat of a mystery. "But they have an exaggerated tendency to learn from anything that people do right from the minute they're capable of doing it," he says. "They're particularly sensitive to human body language — the direction we look in, what our whole body language is telling them, pointing gestures. They are much more sensitive to things like that than almost any other species on the planet." Bradshaw says humans also expect dogs to be companionable when they're needed and unobtrusive when they're not. City dogs, he says, are expected to be better-behaved than the average human child and as self-reliant as adults. But these expectations, he says, create problems for modern dogs. "Many dogs — maybe as many as half the dogs in the West — that are kept in homes have a real problem with being left alone at some point in their lives," he says. "And the problem may last for weeks or years. ... They crave the company of people. They also have a mind which does not have a particularly good sense of time, so when they get left alone, they can immediately begin to think, 'When's anyone coming back? Have I been abandoned forever?' 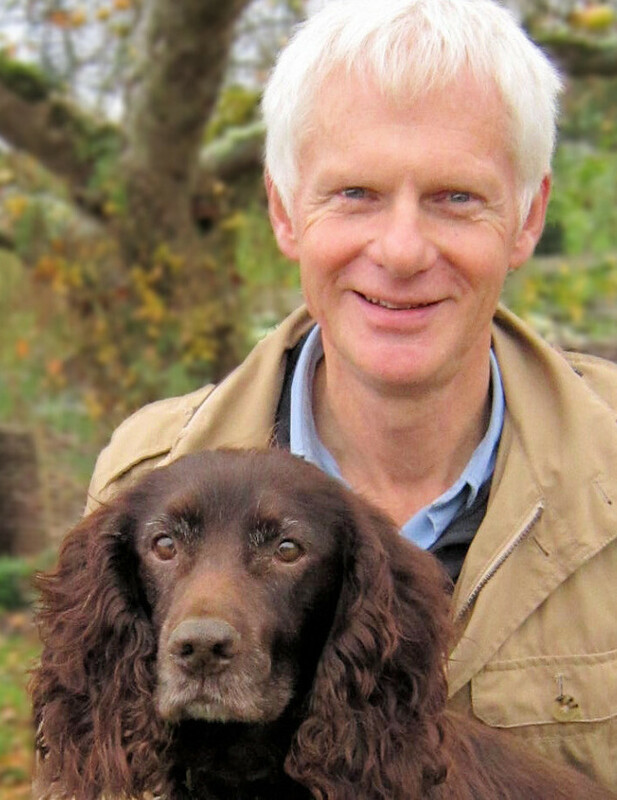 "
Dogs can get extremely anxious as a result, Bradshaw says. But there are bits of training owners can do to help their dogs avoid separation disorders. "You train your dog to toilet outside. You train your dog to sit on command," he says. "You should also train your dog to cope with being left alone." Bradshaw suggests creating a gradual routine when you leave the house: For example, pick up your keys and coat from the same place, in the same way each time you leave. Those behaviors will become triggers for your dog, who will associate them with your impending absence. He also suggests training new dogs by having them become familiar with these actions — and gradually increasing your time away so that your dog has time to become acclimated. "You go to the door. You come back from the door. You put the coat back on the rack. You put the car keys back down on the shelf. Then you do it again, but this time maybe you open the door," he says. "Then the next time, you go outside the door and come straight back in again. And the next time, go outside and stand outside for 10 seconds. And then come back in again. And what the dog learns at that stage ... the association with you going out and you coming home. And that is enough for most dogs to reassure them — and very quickly you find you can leave them for hours. They've learned that association, and you coming back and making a fuss of them, and so the idea of you going out actually becomes pleasurable instead of something to panic." John Bradshaw is the director of the Anthrozoology Institute at the University of Bristol in the U.K. He has studied the behavior of domestic cats and dogs for more than 25 years. "The main [myth] ... is that wolves are essentially an intrinsically aggressive animal that is continuously trying to take over whatever group they find themselves in and dominate it. And the new wolf biology really exposed that as an artifact — that particular view of wolves came from wolves in zoos and in wildlife parks, where a bunch of unrelated wolves were basically put together and told to get on with it and, not surprisingly, they got on with it by being aggressive toward one another. The new picture of wolf society is that wolves are harmonious animals. They live in family groups. They get along really well together, and they're almost never aggressive to one another. The aggression comes out when two families meet, so they have very strong family ties." "Let's take a very simple piece of advice that trainers take out, which is you should never allow a dog to go in front of you through a doorway because it will give the signal to the dog that you are submissive and are therefore allowing him or her — the dog — to become dominant. Take another one. Many trainers advise against playing tug of war games because there is a risk the dog will win and the dog, by winning, will think that you are being submissive and he will therefore be able to control you in the future. We've done research into a number of these things — including the tug of war game — and have shown that the premise is just completely not true. If you do let a dog win over and over again at tug of war, it likes you. It wants to play with you more than it did to begin with because it's having fun. If, on the other hand, the dog gets less attracted to you and doesn't so much want to play with you — again, but there's absolutely no change of the dog's behavior outside of that particular situation of play — the dog does not get into its head that you're kind of a soft touch and that in the future it will be able to control you and whatever you do." "There's still a great genetic variability if you take the dog as a whole. But within a breed, the variation has diminished. So you get all kind of inherited diseases coming up [which are] very difficult to eradicate at the moment while the breed barriers are being maintained." "I've been involved with training dogs for the military for about a decade now, so I think everybody but me has been surprised by the dog that went in to find Osama bin Laden. They're very valuable dogs. And I must say, if I was in an environment like that, I would actually much rather have a dog ahead of me than another human being because it's another set of senses — and particularly the olfactory sense. These dogs are trained to find and then indicate all manners of things. In that particular instance, it would presumably be explosives and ammunitions and guns and so on." "They're colorblind to a certain extent but colorblind humans are not that badly handicapped. Their hearing is a little bit more sensitive than ours in the high-pitched region. But it's their sense of smell that really distinguishes them from us. And I don't think we really take up too much recognizance of that. I think dogs have a right to sniff things whenever it doesn't cause a problem to us. When I meet a dog, I hold my hand out. I don't stick my fingers right out, just in case, but I just make a loose fist and put my hand out to the dog. If it's a small dog, I'll squat down. And that dog will want to come and sniff my hand and lick it if necessary. That's a greeting, and I think if we don't do that, I think it's as upsetting to the dog as if we were talking to somebody that we never met before and covered our faces at that point in time, as if we were trying to disguise who we were." The dog has been our faithful companion for tens of thousands of years. Today, dogs live alongside humans all across the globe, often as an integral part of our families. To many people, a world without dogs is unthinkable. And yet dogs today unwittingly find themselves on the verge of a crisis, struggling to keep up with the ever-increasing pace of change in human society. Until just over a hundred years ago, most dogs worked for their living. Each of the breeds or types had become well suited, over thousands of years and a corresponding number of generations, to the task for which they were bred. First and foremost, dogs were tools. Their agility, quick thinking, keen senses, and unparalleled ability to communicate with humans suited them to an extraordinary diversity of tasks — hunting, herding, guarding, and many others, each an important component of the economy. In short, dogs had to earn their keep; apart from the few lapdogs who were the playthings of the very rich, the company that dogs provided would have been incidental, rewarding, but not their raison d'être. Then, a few dozen generations ago, everything began to change — and these changes are still gathering pace today. Indeed, an ever-increasing proportion of dogs are never expected to work at all; their sole function is to be family pets. Although many working types have successfully adapted, others were and still are poorly suited to this new role, so it is perhaps surprising that none of the breeds that are most popular as family pets have been specifically and exclusively designed as such. Thus far, dogs have done their best to adjust to the many changes and restrictions we have imposed upon them — in particular, our expectation that they will be companionable when we need them to be and unobtrusive when we don't. However, the cracks inherent in this compromise are beginning to widen. As human society continues to change and the planet becomes ever more crowded, there are signs that the popularity of dogs as pets has peaked and that their adaptation to yet another lifestyle may be a struggle — especially in urban environments. After all, dogs, as living beings, cannot be reengineered every decade or so as if they were computers or cars. In the past, when dogs' functions were mostly rural, it was accepted that they were intrinsically messy and needed to be managed on their own terms. Today, by contrast, many pet dogs live in circumscribed, urban environments and are expected to be simultaneously better behaved than the average human child and as self-reliant as adults. As if these new obligations were not enough, many dogs still manifest the adaptations that suited them for their original functions — traits that we now demand they cast away as if they had never existed. The collie who herds sheep is the shepherd's best friend; the pet collie who tries to herd children and chases bicycles is an owner's nightmare. The new, unrealistic standards to which many humans hold their dogs have arisen from one of several fundamental misconceptions about what dogs are and what they have been designed to do. We must come to better understand their needs and their nature if their niche in human society is not to diminish. Our rapidly changing expectations are not the only challenge that dogs face today. The ways in which we now control their reproduction also represent a major challenge to their well-being. For much of human history, dogs were bred to suit the roles that humankind assigned to them — but whether their task was herding, retrieving, guarding, or hauling, dogs' stability and functionality were considered far more important than their type or appearance. In the late nineteenth century, however, dogs were grouped into self-contained breeds, reproductively isolated from one another, and each assigned a single ideal appearance, or "standard," by breed societies. For many dogs this rigid categorization has not worked out well; rather, it has worked against their need to adapt into their new primary role as companions. Each breeder strives not to breed the perfect pet but to produce the perfect-looking dog who will succeed in the show-ring. These winning dogs are considered prized stock and make a hugely disproportionate genetic contribution to the next generation — resulting in "pure" breeds whose idealized appearance belies their deteriorated health. In the 1950s, most breeds still had a healthy range of genetic variation; by 2000, only some twenty to twenty-five generations later, many had been inbred to the point where hundreds of genetically based deformities, diseases, and disadvantages had emerged, potentially compromising the welfare of every purebred dog. In the UK, the growing rift between dog breeders and those concerned with dogs' welfare finally became public in 2008, resulting in the withdrawal of the humane charities — and subsequently that of BBC Television, the event's broadcaster—from Crufts, the country's national dog show. While such protests are a start, the dogs themselves will not feel any benefit until the problems brought about by excessive inbreeding have been reversed and dogs are bred with their health and role in society, not their looks, in mind. Ultimately, people will have to change their attitudes if the dog's lot is to improve. So far, however, neither the experts nor the average owner have had their preconceived notions challenged by the wealth of new science that is emerging about dogs. Much of the public debate thus far, whether about the merits of outbreeding versus inbreeding or the effectiveness of training methods, has amounted to little more than the statement and restatement of entrenched opinions. This is where scientific understanding becomes essential, for it can tell us what dogs are really like and what their needs really amount to. Science is an essential tool for understanding dogs, but the contributions of canine science to dog welfare have, unfortunately, been somewhat mixed. Canine science, which originated in the 1950s, sets out to provide a rational perspective on what it's like to be a dog — a perspective ostensibly more objective than the traditional human-centered or anthropomorphic view of their natures. Despite this attempt at detachment, however, canine scientists have occasionally misunderstood—and even given others the license to cause injury to — the very animals whose nature they have endeavored to reveal. Science has, unwittingly, done the most damage to dogs by applying the comparative zoology approach to studies of dog behavior. Comparative zoology is a well-established and generally valuable way of understanding the behavior and adaptations of one species through comparisons with those of another. Species that are closely related but have different lifestyles can often be better understood through comparative zoology, because differences in the way they look and behave mirror those changes in lifestyle; so, too, can those species that have come to have similar lives but are genetically unrelated. This method has been highly successful in helping to disentangle the mechanisms of evolution in general, especially now that similarities and differences in behavior can be compared with differences between each species' DNA, so as to pinpoint the genetic basis of behavior. Yet although the applications of comparative zoology are usually benign, it has done considerable harm to dogs, as one expert after another has interpreted their behavior as if they were, under the surface, little altered from that of their ancestor, the wolf. Wolves, which have generally been portrayed as vicious animals, constantly striving for dominance over every other member of their own kind, have been held up as the only credible model for understanding the behavior of dogs.1 This supposition leads inevitably to the misconception that every dog is constantly trying to control its owner—unless its owner is relentless in keeping it in check. The conflation of dog and wolf behavior is still widely promoted in books and on television programs, but recent research on both dogs and wolves has shown not only that it is simply unfounded but also that dogs who do come into conflict with their owners are usually motivated by anxiety, not a surfeit of ambition. Since this fundamental misunderstanding has crept into almost every theory of dog behavior, it will be the first to be addressed in this book. Excerpted from Dog Sense: How the New Science of Dog Behavior Can Make You a Better Friend to Your Pet by John Bradshaw. Copyright 2011 by John Bradshaw. Excerpted by permission of Basic Books.